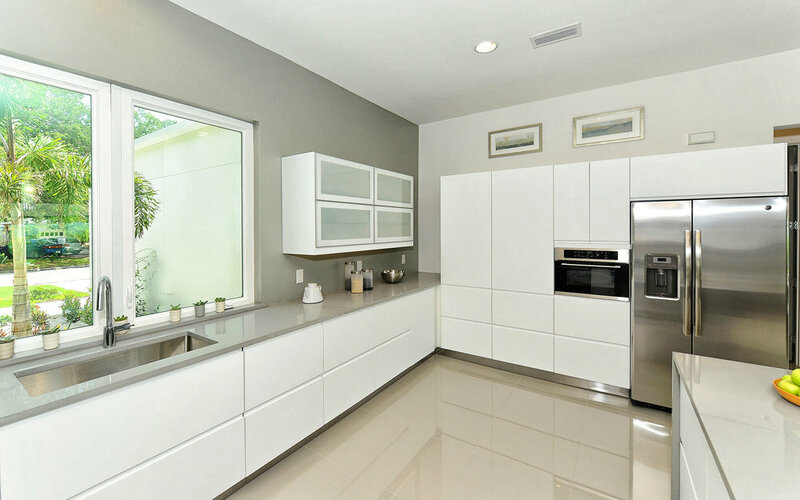 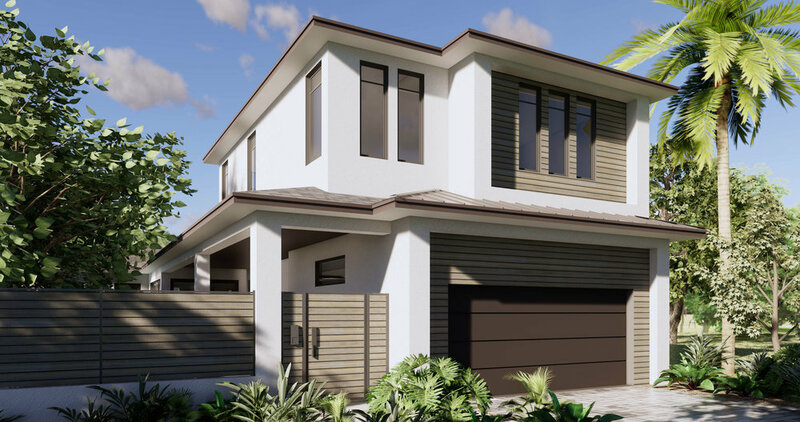 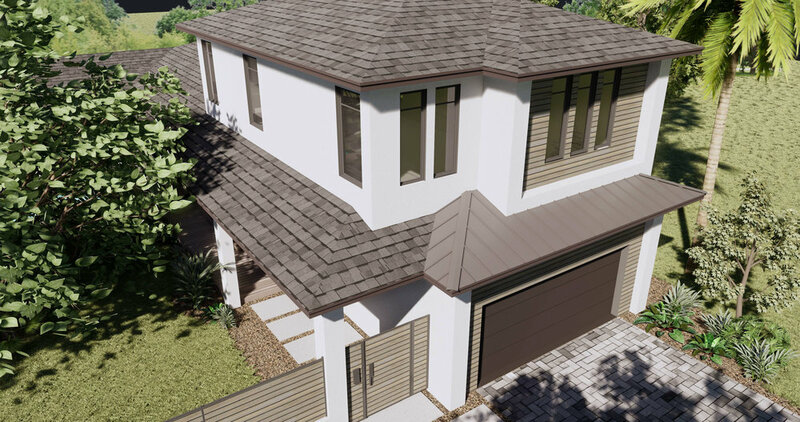 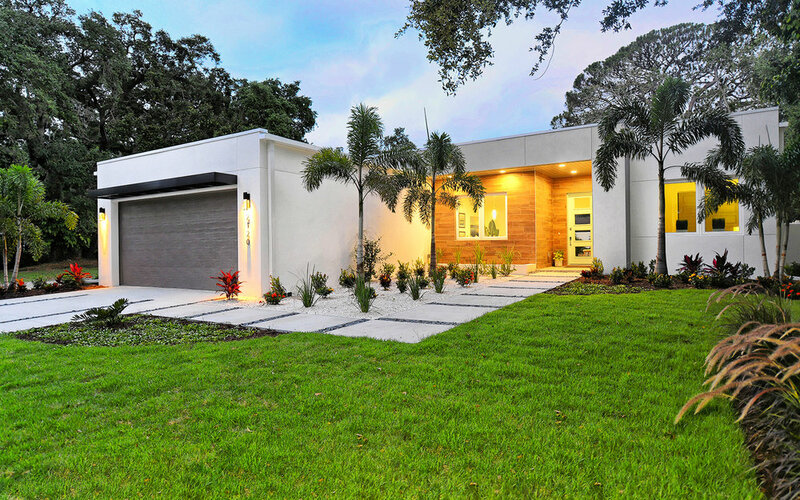 Contemporary design and modern luxury in Sarasota’s up-and-coming East of Trail district. 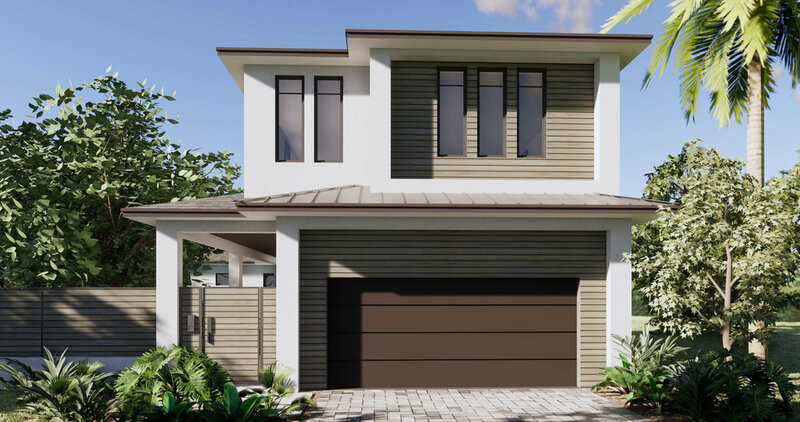 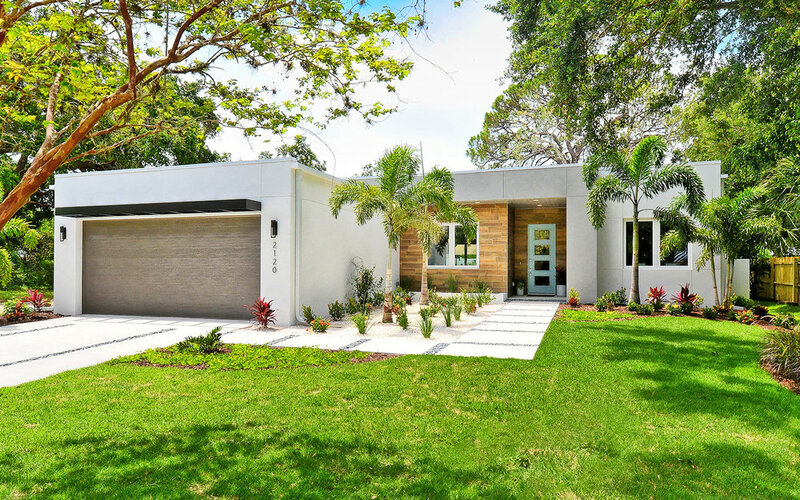 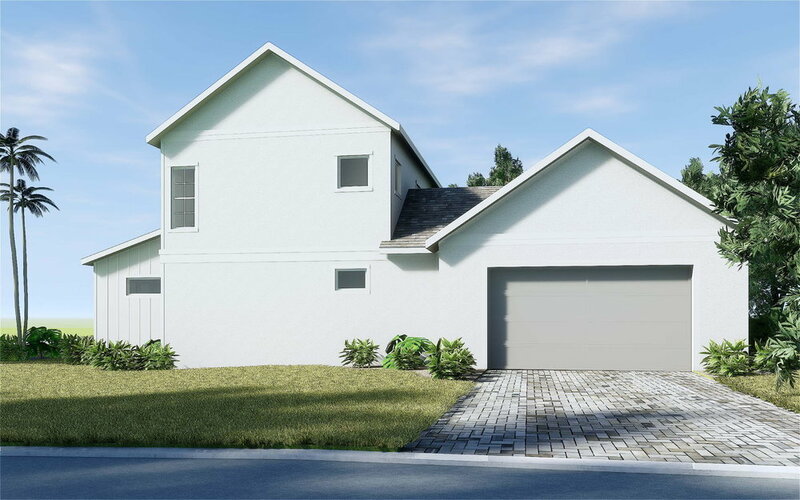 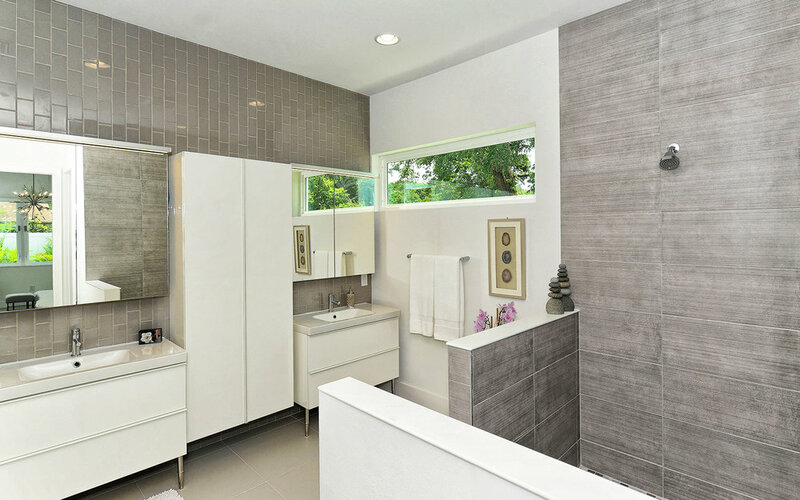 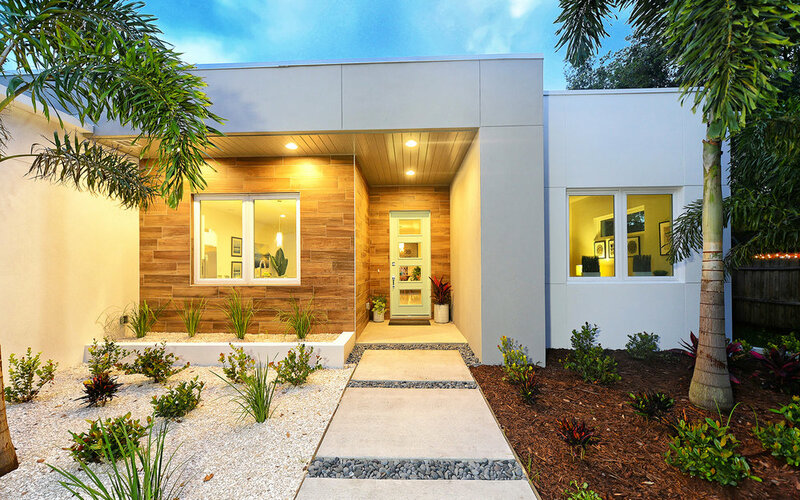 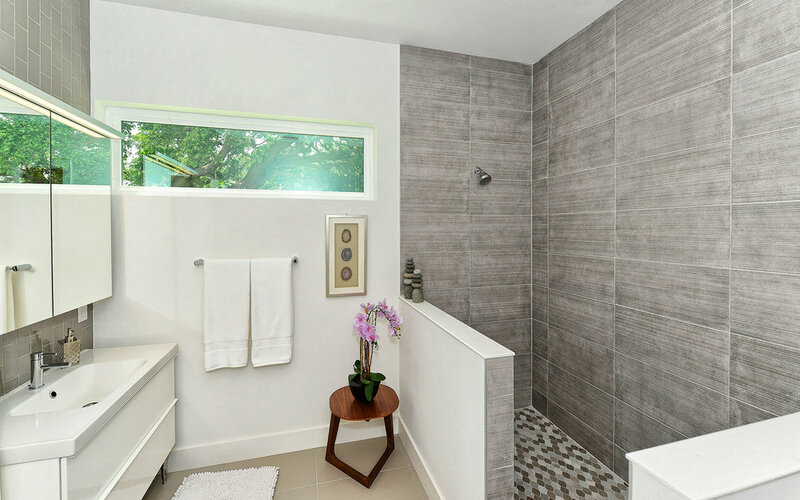 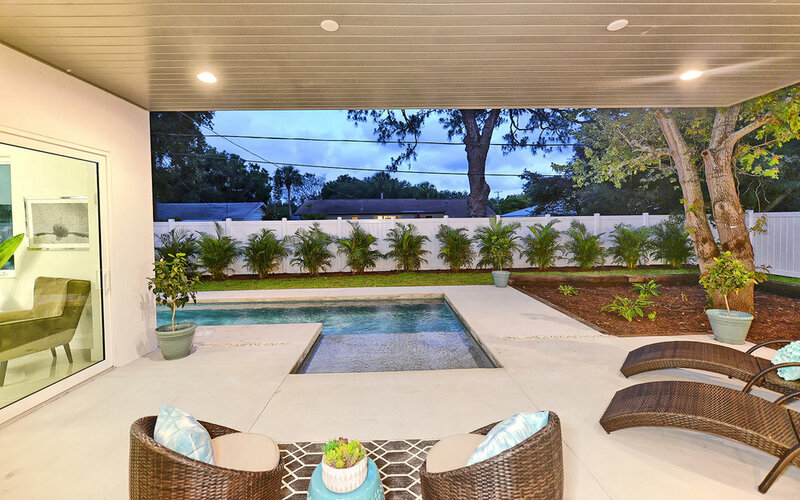 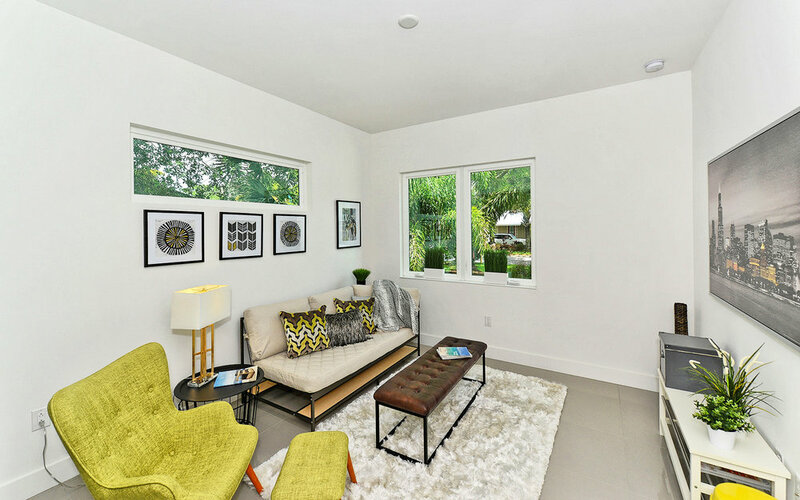 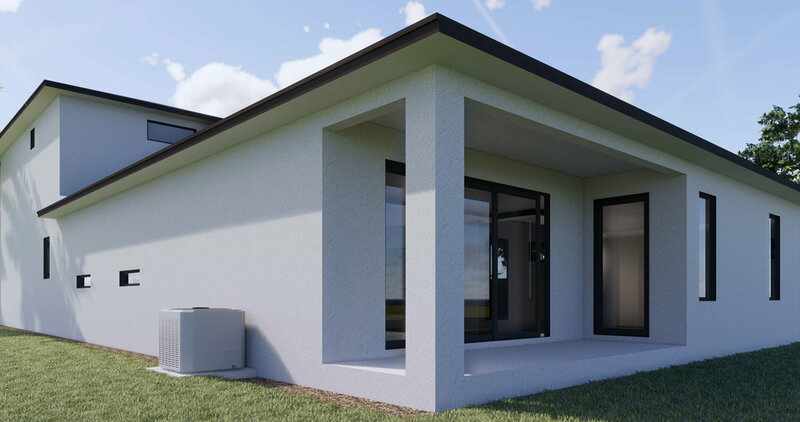 This brand new home by Majestik Homes exhibits mid-century-inspired charm and sophistication. 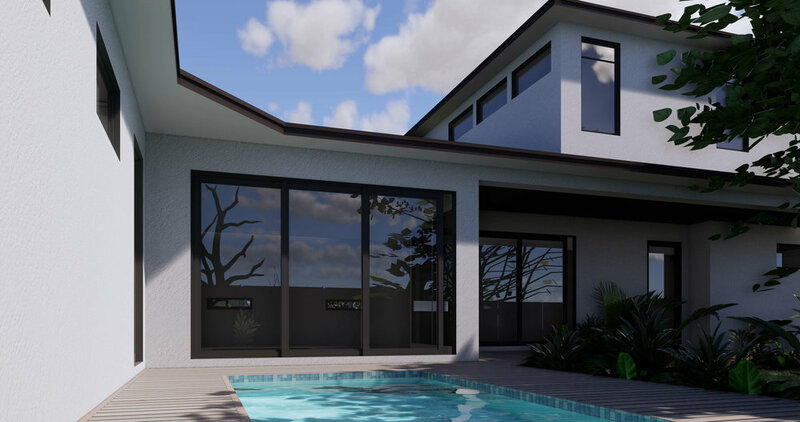 High ceilings, large rooms and lots of windows create a vast sense of space within the sleek, low profile. 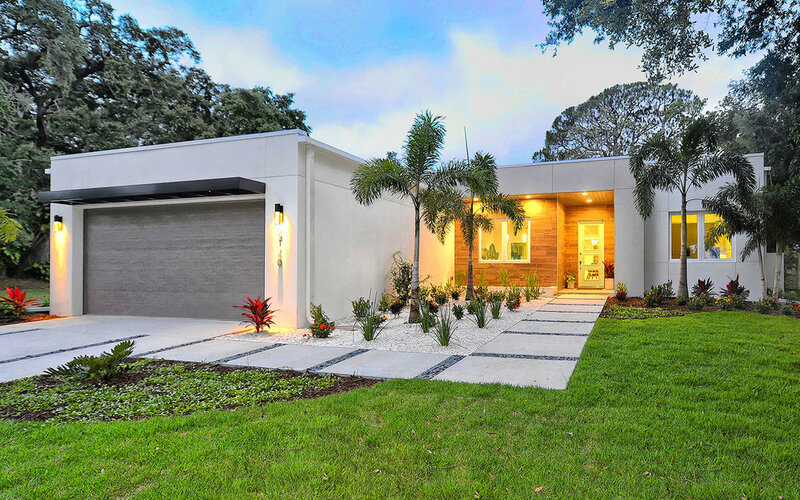 Every detail of this 2,317-square-foot residence was carefully selected and quality crafted. 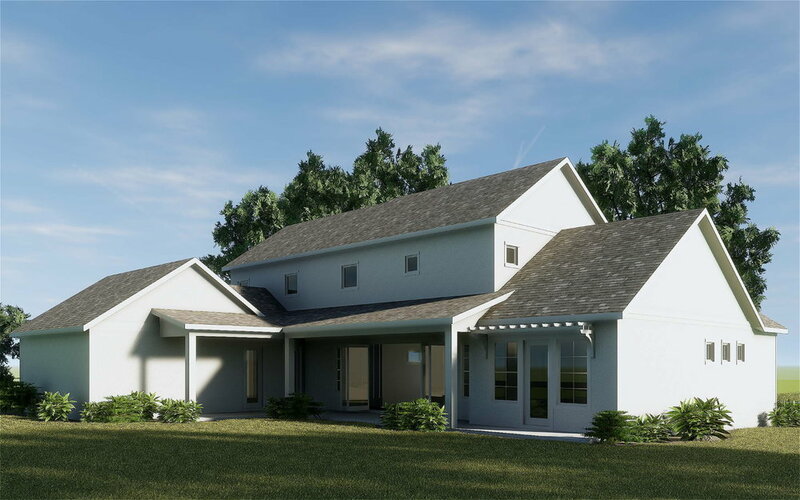 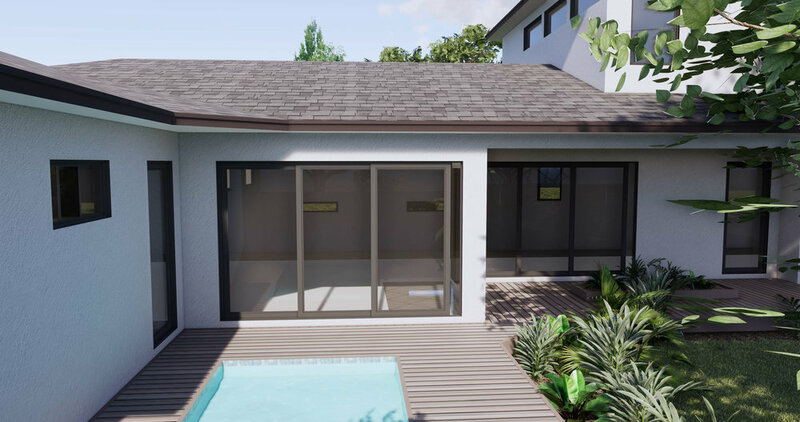 Boasting 4 bedrooms and 3 baths, highlights include open concept design, 10-ft ceilings, 8-ft. doors, impact-resistant glass, covered patio and outdoor pool with sun shelf. 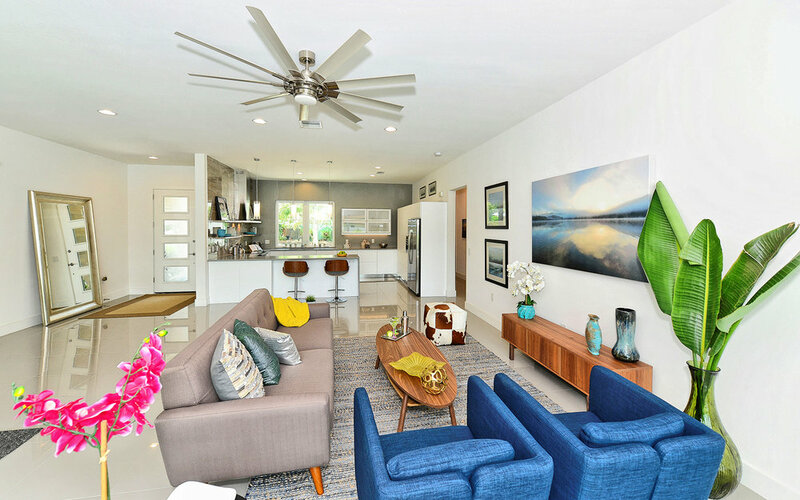 At the center of this cheerful residence is a large, airy entertainment area where the kitchen, dining and living spaces are contiguous with sight lines to the front and back yards. 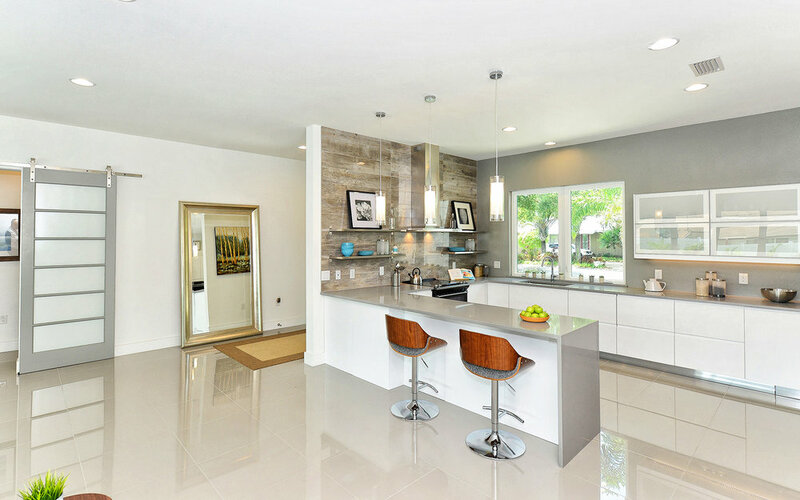 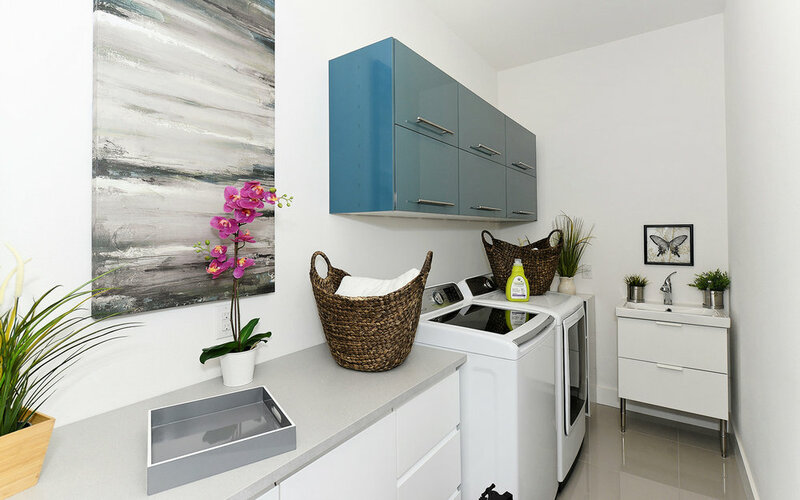 The contemporary kitchen beautifully combines form and function with streamlined surfaces, quartz countertops, soft-close cabinetry, stainless steel appliances and eat-in counter. 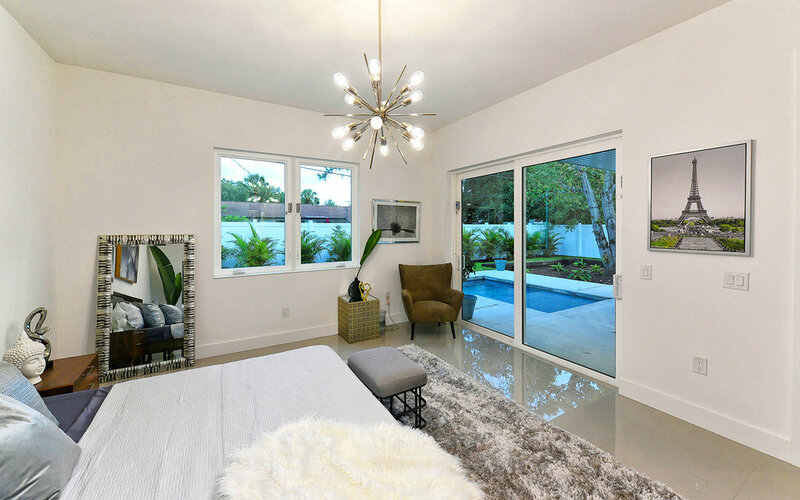 The master retreat is spacious and sumptuous. 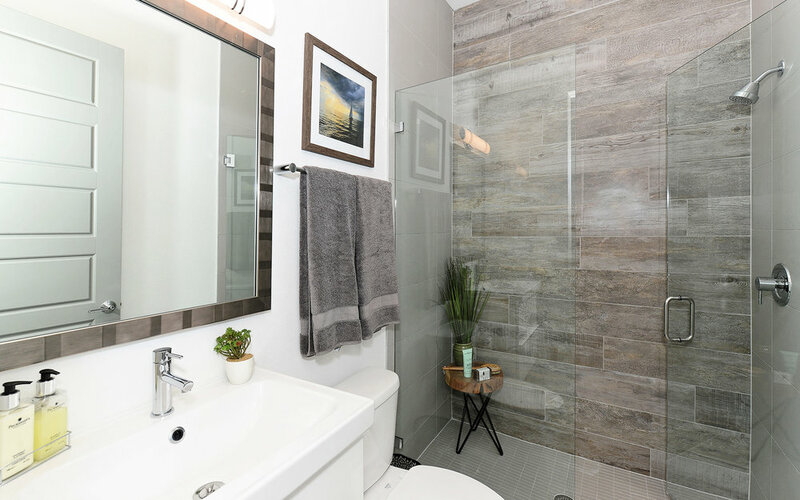 It has sliding glass doors to the covered patio, 2 walk-in closets and an ensuite bath with open shower and two vanities. 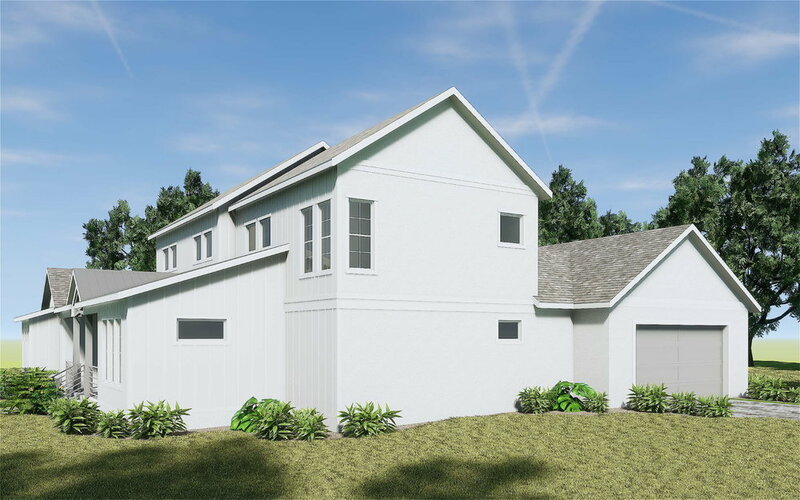 Two additional bedrooms are on the other side of the house cleverly separated from the living area by a sliding barn door. 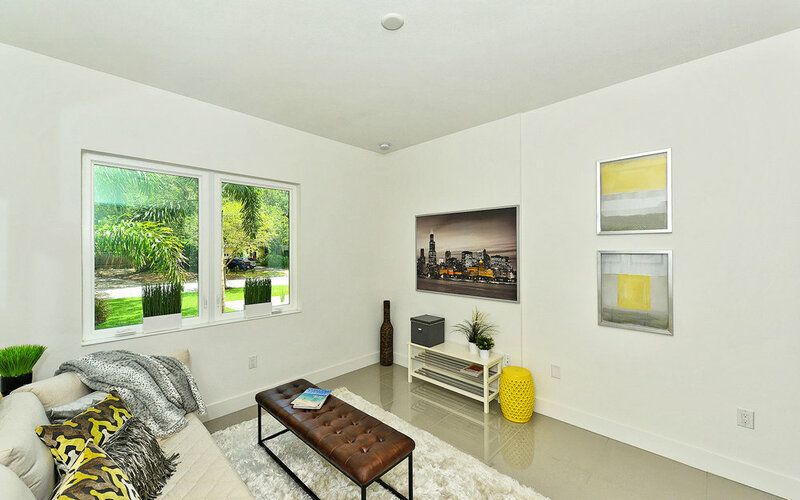 The 4th bedroom can easily be used as a home office.